In the second of a series of articles examining ’employment activation’ initiatives, Eamonn Kelly explores the concept of discrimination on the grounds of socio-economic status that appears to inform much of the thinking behind the implementation and administration of JobPath. There appears to be a general perception that there is some “problem” with JobPath, but the exact why of the problem remains elusive. 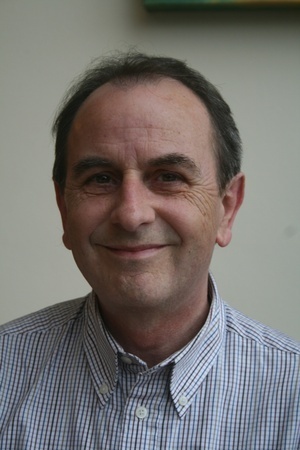 Willie O’Dea of Fianna Fail recently described the programme as “sinister”, while descriptions ranging from bullying to harassment are routine. Much of this foggy understanding has to do with the limited time and inclination available to anyone to examine claimed injustices related to employment activation, particularly in a climate of austerity that is seeing so many cutbacks and miseries being inflicted on so many different groups and individuals. Besides, there is a certain lack of sympathy for the unemployed, who are generally regarded as “lazy” architects of their own condition, so anything that appears to hunt them out of their beds, as common perception has it, seems more than reasonable, particularly given the current climate of austerity. All these assumptions add up to a situation in which the unemployed are generally perceived as having no cause for complaint concerning any initiative designed to get them back to work. This general assumption makes itself felt in dealing with officials who appear to believe that unemployed people do not have, nor can they expect to enjoy, equal rights and considerations as those enjoyed by working people. This general premise informs the attitudes of contempt and disregard experienced by many jobseekers at the raw end of the implementation and administration of JobPath. Put simply, the unemployed are being routinely treated as second class citizens for being unemployed, and much of what they are experiencing in JobPath falls under the category of discrimination on the grounds of socio-economic status. In the first report of the Irish Human Rights and Equality Commission in July 2015, disappointment was expressed that Ireland had not implemented socioeconomic discrimination as a ground in equality legislation under the European Convention on Human Rights (ECHR). Coincidentally, later that same month, July 2015, JobPath was rolled out in earnest. Though there is no specific protection in Irish implementation of EU legislation on grounds of socioeconomic status, there does appear to be indirect protection against such discrimination contained in Article 2 of the UN Treaty called the International Covenant on Economic, Social and Cultural Rights. The protection might be claimed under the term “other status”. The status of “jobseeker” being regarded as that “other status”. “The International Covenant on Civil and Political Rights (ICCPR), that Ireland ratified in 1989, includes two relevant non-discrimination provisions. Article 2 ensures non-discrimination with regard to rights recognized in the ICCPR, while Article 26 provides for equality before the law and a general prohibition of discrimination. Both Articles contain an open list of discrimination grounds and make explicit reference to, among others, social origin, property and birth. The recent Mellet v Ireland decision of the Human Rights Committee concerned the abortion of a foetus with a fatal impairment, for which the claimant had to travel to the UK due to legal restrictions in Ireland. The Committee determined that Article 26, which provides for the right to equality before the law, had been violated as the State “failed to adequately take into account her [Ms. Mellet’s] medical needs and socio-economic circumstances and did not meet the requirements of reasonableness, objectivity and legitimacy of purpose” under Article 26. If Jobseekers can be regarded as a social group under “other status” it would follow that Jobseekers are protected against discrimination on grounds of socio-economic status. 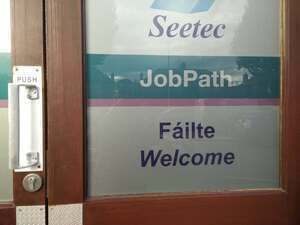 I point this out because the prejudice against Jobseekers on those grounds is like a foundational prejudice from which all other attitudes and actions in the implementation and administration of JobPath stem, including the lamentable “welfare cheats” campaign. It is not because JobPath per se is so important, particularly in comparison to other austerity injustices. It is because that since there is such a lack of public empathy or interest in this particular area, officials may have cut corners, based on the assumption that unemployed people cannot expect to enjoy equal rights or consideration, and may have acted recklessly in implementing a system which appears to set certain damaging understandings and precedents in place in the area of employment relations and fundamental human rights. Posted in Misc and tagged Eamonn Kelly, Jobpath at 11:44 am on July 12, 2017 by Eamonn Kelly. OMG is that Louise in the photo? Why are you including welfare cheats in the same social group as job seekers. I know from experience the first thing to go when unemployed is confidence. The longer unemployed, the worse it gets. If there is personalised service that takes people from where they are now to working, is to be welcomed. Lack of childcare, transport or other practical matters may be part of the problem, as well as employer reluctance to hire someone with a large gap in work experience. Unemployment rate is down to 6%, another 2% down is regarded as full employment. This is precisely the time where activation measures should be applied for individuals and structural issues addressed, like childcare. DubLoony right on cue. Defending the indefensible actions of the Labour party, and iMoan Joan in particular. 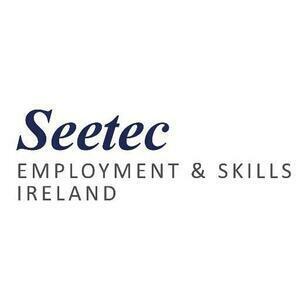 Your experience clearly does not extend to being on the receiving end of the attentions of Seetec and Turas Nua. Did they threaten you with work or, even worse, guidance? None of the above, but your concern is nonetheless touching. Now, toddle off back to fascist central, would you? I’m actually a Communist and live by the maxim “to each his need and to each his ability”. You can’t have one without the other, or at least an attempt to use your ability. would you agree with that at all? Not a very good pretend communist if you can’t get the maxim right. Would you prefer that long term unemployed people stay that way? Or that they get some additional help? Dead on Mickey Twopints. Your interloquitur can’t even correctly quote the most basic tenet. We may infer from that what we wish. By the way, I am not a Communist, merely a socialist, but the principle is common to both points of view. so the principle is common but you choose to ignore it. is it thick you are? At a time when we have, simultaneously, skills shortages in some areas and less-than-full employment (as the term is generally understood), it is appropriate for policymakers to offer retraining programmes. Why some people view extending a hand-up as threatening behaviour by the State is a mystery to me. If an able bodied person cannot currently find employment in Ireland, then they most likely have issues around general attitude or work ethic. There is simple no excuse for not being able to get a job. Would strongly disagree. If someone had suffered a long term illness, been a carer, a victim of domestic violence, has literacy problems, lives in an area with poor transport, childcare challenges, very low confidence after being gout of work for a very long time, needs up-skilling , there’s plenty of reasons why an able bodied person needs extra help. I fully agree with your position. However, I feel strongly that the private operators engaged by the DSP (a personal hobby horse of Joan Burton) are not the solution we need. Have you taken it up with the Minister for Employment & Social Protection, Regina Doherty? No. I need to maintain my Garda clearance, otherwise I’m likely to lose my job. Worthy and unworthy indigent is a pre-Victorian concept, worthy = ex military wounded in battle who had been forced in poverty and mendicancy, unworthy = sturdy beggars, those considered feckless. It is 2017 not 1817. Some of the comments here are scary. There are a huge number of reasons why a seemingly able-bodied person may not be a candidate for full time employment, listed by Dublooney above. I think the point of the article is that this system is run on fear, on making you feel small, servile and incompetant, worthless, a burden. It is probably the main reason people lose confidence when the lose work. I worked for a company, an offshoot of DSP that assisted ppl in getting work through cv development, job courses etc. The majority of the ppl DSP sent us were people ppl over 50, ppl with mild to serious mental health issues or addiction issues, ppl with literacy issues and nothing more than primary school education. Most of these ppl were basically unemployable yet they were hounded by the DSP. They felt threatened and were filled with fear. One woman, 60 years old, nearly lost her home because they cut her off for 10weeks. She had quite obvious mental health problems, her mental state crumbled under this pressure from the DSP, she was literally scratching her skin off and ended up in hospital over it. It was harrowing to watch! This is one horrible example in dozens that I witnessed in a few months and it’s the reality of the activation services. And although this system might work for a few the main objective behind these job activation schemes is sinister, its about numbers and has no regard for the human person involved. People complaining about jobseeker layabouts have no idea how people on the bottom live :/ check yourselves.